Oldenburg in Germany is some four hours away from us, but we took a drive there on the 16th of December, to meet up with our cousins for just a few hours at the Christmas Market. 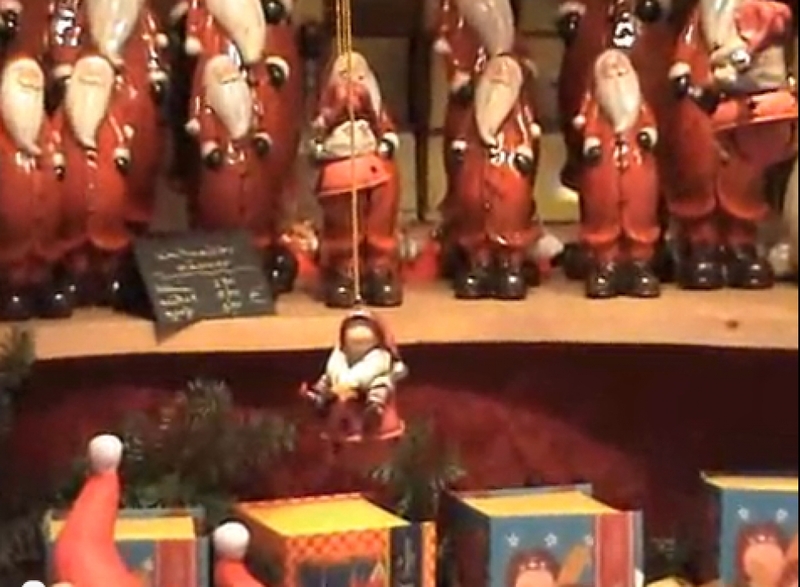 These German markets are renowned for their festive spirit and good cheer. It was worth the effort and we found the greatest gifts … love, care, attention and time with family and friends. Why the title? I’m horrified at what the Festive Season has become. The first news report that appeared on Dutch television after Christmas was about people placing their unwanted gifts on auction websites like e-Bay. Gee, isn’t this just a sad reflection of what the Festive Season has become? Instead of showing our loved ones how much we love them by giving them our time, care and attention, we buy each other gifts as a replacement or representation of our love. And because we’re too busy rushing around leading hectic lives to be able to afford these unwanted gifts, and to maintain our materialistic lifestyle, we don’t have the time that is needed to find out more about the recipient, or to discover what he / she might actually enjoy. Don’t get me wrong, I love getting and opening presents as much as the next person. We should give each other gifts. Giving a gift is a personal, vulnerable thing. What if they don’t like it? Is it the right thing to give? Will they understand why I want them to have it? Perhaps these questions play a big part in why so many gifts are unwanted? People don’t necessarily want to expose themselves like that, so they buy a generic gift that carries the promise “people will love you for giving it”. We eagerly listen to marketers and their big promises. But the recipient often looks at the gift in disappointment. How does it make us feel when we receive an unwanted or a strange gift? Do we wonder why that person bought that item? What were they thinking of (us) at the time of purchase? Was it just the quickest thing at hand? Or was it … er … gasp … a re-gift? The whole idea of giving gifts (and Santa Claus) originates from a Dutch / Flemish festival called Sinterklaas, which is a shortened version of “Sint Nicolaas”. Nicholas lived in Myra (present day Turkey) between 271 and 343 AD. He inherited his parent’s wealth when they died of an epidemic. Unhappy, he distributed the wealth among sailors and merchants, and then became a priest. The Dutch and Flemish still celebrate his life on the 5th of December each year, giving small hand-made gifts and making good-natured rhymes that poke fun at the recipient. “The emphasis is on originality and personal effort rather than the commercial value of the gift.” Sadly this tradition is giving way to the commercialism of Christmas. Even more sad is that our Western culture discourages hand-made gifts. Things are said to only have value if they’ve been bought. But how can the hours and care taken to make a gift be worthless? Surely the greatest gift we can give each other is our time, care and attention? I would love to see the Festive Season return to being about spending valuable time together, caring for each other and sharing special moments, and being less dependent on the gifts that are given.